In April this year we spent a week in Helsinki and on the way there (and back again) I booked flights with a long layover in Paris (well, technically 2 layovers, but that doesn’t make for a cool sounding title…). I’d never been to the City of Light before, so even a few hours would be better than nothing… and we felt very “Anthony Bourdain” in our Paris layover adventure. We ate some amazing food, thanks to the great recommendations of our airbnb host, and we also ate some completely awful food, thanks to the fact that our return flight arrived late and by the time we got to Montmartre only the dodgy kebab places were still open… sei la vie! And I shot it all on my iPhone. I needed an excuse to come back and do it all again properly, and after a week in Helsinki of having my “real” camera on me 24/7 I was kindof over it. Paris is cool. I was prepared for rude French people and crying in a metro station because we were hopelessly lost, but it never happened… either I’m getting better at travelling or the Parisians are really not as bad as their reputation makes them out to be. Or maybe we got lucky and only found rad people. Either way, I will be back. I will be visiting Paris at the end of this Month. Can hardly wait!! 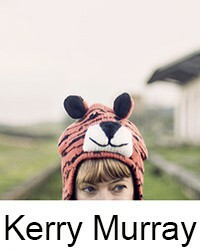 Brilliant photos Kerry. I love the “Gare du Nord” one.